I've been wanting to review my collection of Sephora Jumbo pencils for a while now, and I don't know why I waited that long to do it! I've been collecting them since last year, I only own 4 shades but I really wanna try some new ones in the future, they're quite fun to use! 05 Beige: A shimmery light champagne shade, perfect to be used as a base to any shimmery powder eyeshadow, also great for the inner part of the eyes towards the nose, to make them pop! 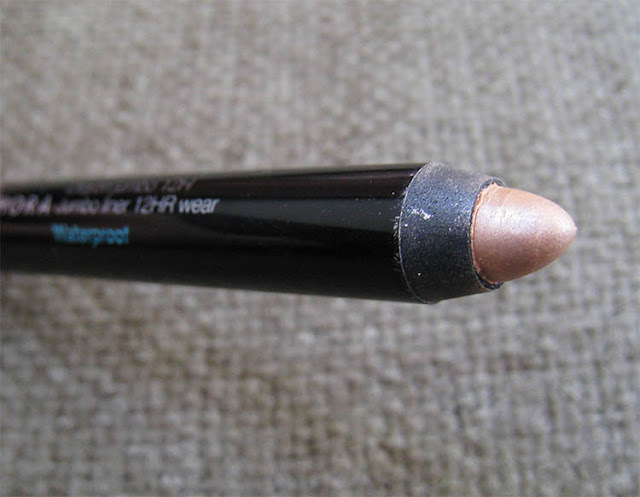 06 Copper: A shimmery bronze-copper shade, in my opinion the perfect summer shade to use alone all over the lids with some mascara. 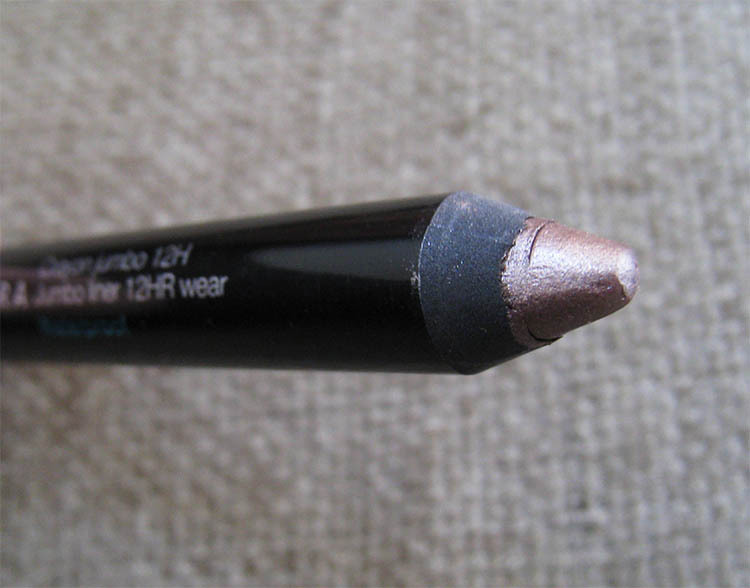 04 Taupe: A metallic grey taupe shade, also a great shade to use alone all over the lids, perfect for cool toned eye looks. 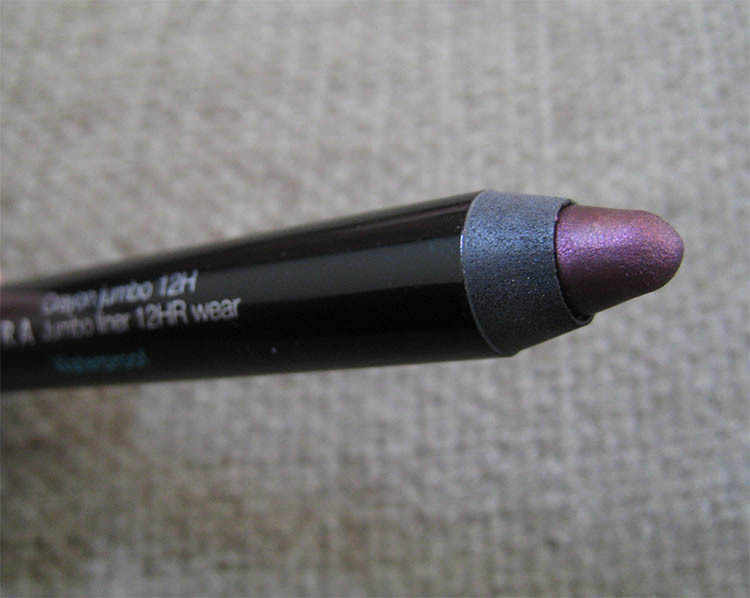 15 Purple: A rich shimmery eggplant purple shade, highly pigmented, it can be used alone at the outer half of the lids, also it can be used as a base for any purple eyeshadow to intensify it. In Greece they cost 9.9 euros each, and you can find them only at Sephora Stores. -The packaging is very simple and sleek, like a high end brand! - The texture is definitely a winner, they're super creamy and smooth, very easy to apply. -They are very longlasting, they last at least 6 to 8 hours without smudging. I still haven't test them for 12 hours alone without an eye primer, but if you do wear an eye primer they could definitely last for more than 12 hours! 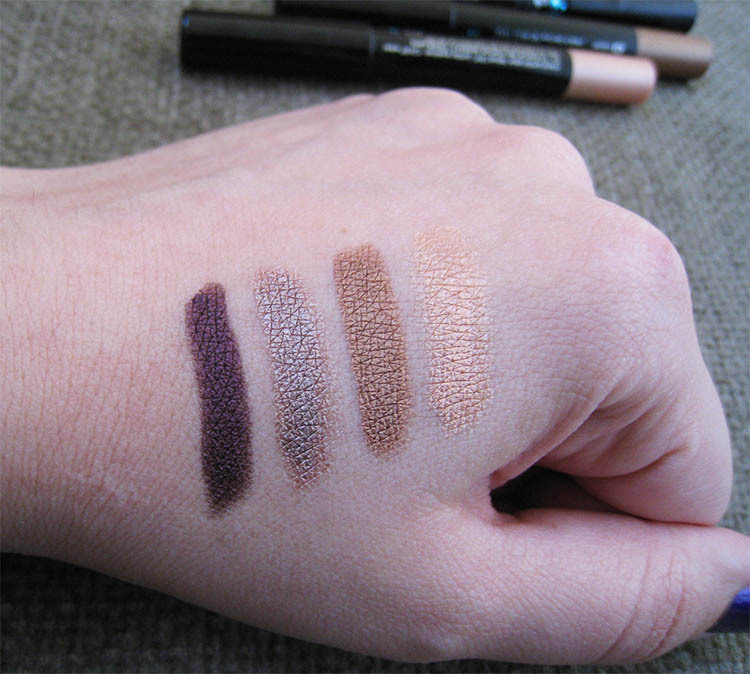 -They're very pigmented, especially the darker shades. -They have over 20 shades to choose from. - They're cheap! It's exactly the same product with Make Up Forever's Aqua Shadow Pencils and Urban Decay's 24/7 Glide On Shadow Pencils but for half the price! The only bad thing I could find, which basically it's not bad, it's the fact that once you apply it on the lids it dries quickly. 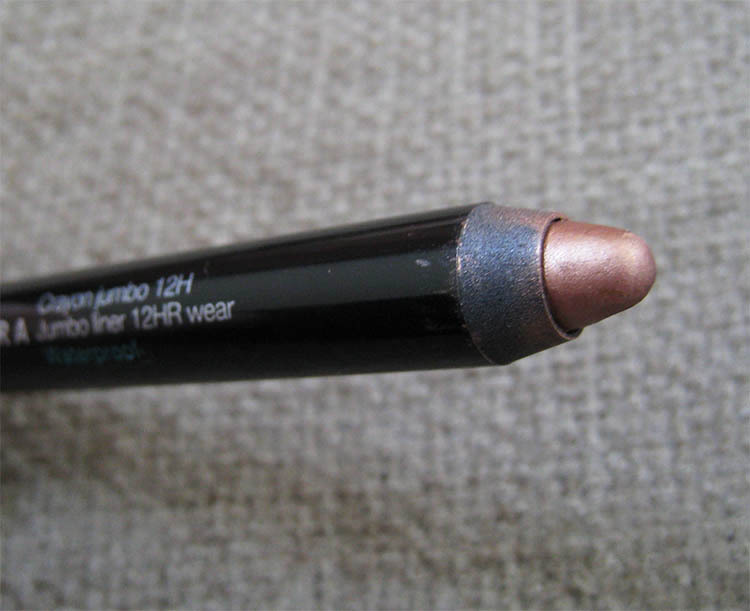 And that's the issue with any waterproof eyeshadow or eyepencil, the only thing you can do is to be quick when you're blending it. Yes for me it's a perfect ten! A very high quality product for only a few euros, what more can I ask? 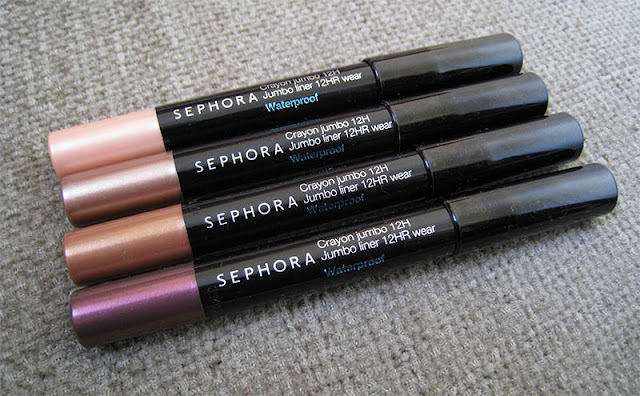 Have you try the Sephora Jumbo Liners yet? Let me know! Awww thank you!! Yeah get one, they have so many colors I'm pretty sure you'll find one. τι ομορφα!δεν τα ηξερα.με εβαλες σε πειρασμο! Ενας λογος που ηθελα να κανω το post ηταν αυτος, δεν βλεπω να ειναι αρκετα διασημα σε blogs κλπ, ενω ειναι πολυ καλα! Ουαου!!! Φαίνονται τέλεια, η αλήθεια είναι ότι τα ψιλοσκεφτόμουν αλλά ειδικά μετά το review σου θέλω οπωσδήποτε να τα δοκιμάσω!! Κοιτα να δεις που τωρα πρεπει να παω να τα δω απο κοντα! παλι στα Sephora θα τρεχω!!! Είναι ωραία αυτά τελικά!Και το οτι στεγνώνουν γρήγορα είναι πολύ θετικό για γρήγορο βάψιμο το πρωί!Τι μου κάνεις! !Θα πάω με το 1+1 της vodafone να πάρω 2!! I have the copper one! they are lovely indeed! feel like going over at sephora and buying more right now! Sold!!! And I'm sure those will come in handy too, who has the time for pots and brushes all the time?